VPG’s virtual reality solutions allow your customers to feel the true VR experience to the highest degree. With simplistic aesthetics, the solutions complement the features of your headset by giving your shoppers the flexibility they need to engage with the device. 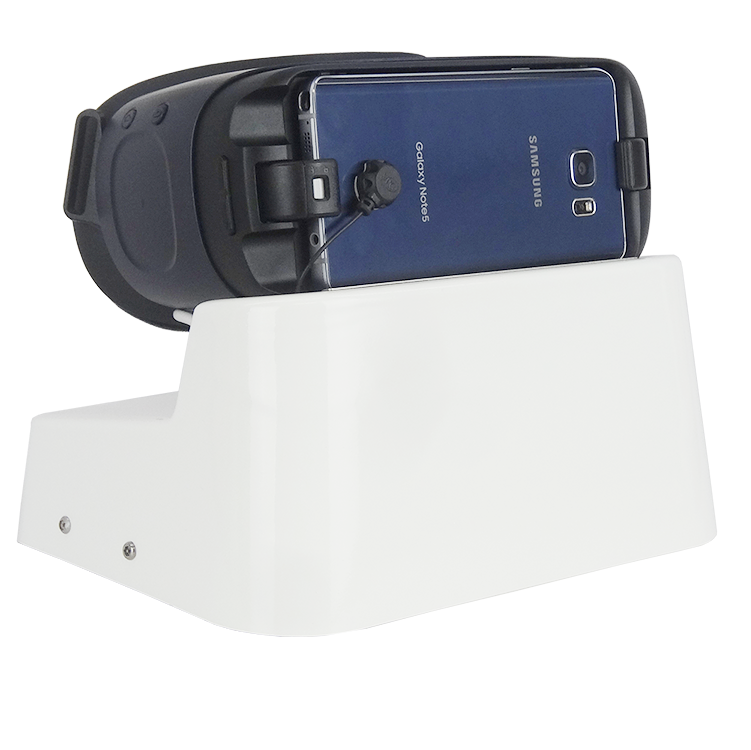 The VPG cord reel technology in the Virtual Reality Pedestal encourages your customers to experience the full range of the 3D environment while also keeping your displays neat and modern.